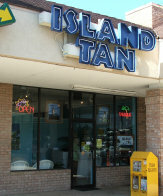 In 1997, I built a Tanning Salon in my home town of Gulf Shores, Alabama. 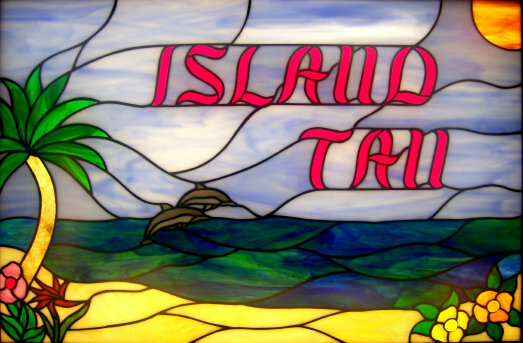 A decade later, I finally got around to designing a beach themed stained glass window for our lobby. 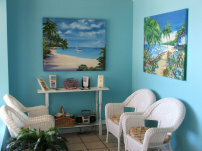 My daughter in law now owns and successfully runs the salon. This colorful window measures 20" x 30" unframed and contains 173 pieces of glass.